Updated versions of the premium audio components are now available. 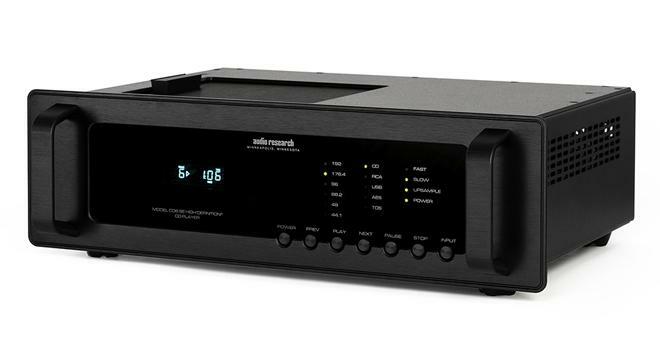 Audio Research has announced the release of Special Edition updates for its CD6 and Reference CD9 Transport/DAC. The new components feature refreshed faceplates and are set to start shipping this week. Boasting tweaked aesthetics, the Special Edition CD6 and CD9 include new faceplates designed to complement ARC's Foundation and Reference-series components. Coupled with matching buttons, illumination, and black plexiglass displays, the refreshed faceplates bring the CD6 and CD9 more in line with the visual style of the company's latest components. Both units combine a super high-resolution compact disc player and a digital-to-analog converter in one device. In addition, both models incorporate a V3.0 USB audio card with support for macOS, Windows 10, and Linux-based systems compatible with ALSA devices, enabling streaming playback from products like Aurender or Roon's Nucleus. When it comes to digital inputs, the new CD6SE will include one TOSlink input and one AES/EBU input, as opposed to the original CD6's two TOSlink inputs. Meanwhile, the new REF CD9SE will feature the same input selection as the original REF CD9. The CD6SE is now available for a suggested retail price of $10,000 and the REFCD9SE is now available for a suggested retail price of $15,000. Options for natural silver or black anodized front panels and handles are available for both units.